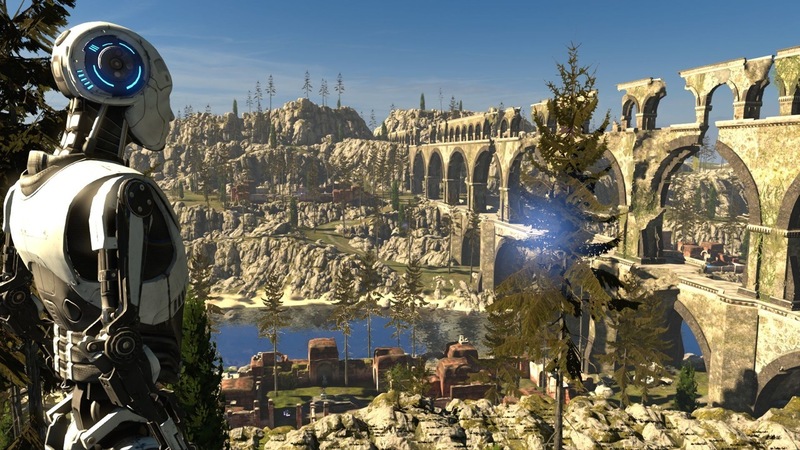 The Talos Principle :: The Talos Principle Build 418338 is available in open beta! The Talos Principle Build 418338 is available in open beta! We've got some cool news for you today. As some of you might know, behind the scenes we have been working on updating The Talos Principle to the latest version of our engine. Now, this is not an easy task, but we were adamant to make it happen. The current Serious Engine is vastly upgraded comparing to the one that was used back when The Talos Principle was released on Steam. There are some huge under-the-hood changes that made their way to this build of the game, but we won't bug you too much with those. What we will say is that The Talos Principle now defaults to x64 executables, has full support for Vulkan and DX12 (OpenGL and DX9 are no longer supported) and is full of various other optimizations, fixes, and tweaks that will make your gameplay experience better without you knowing why that is. If you don't notice anything has changed — we did a good job, because changes are there. It's magic, trust me. After you do this, your game will update, and you're good to go. Please make sure you backup your progress before playing the updated version, as you won't be able to use the saves from the newer version of the game in the current live build. Please let us know if you are having any issues running this version of the game and we'll get on it ASAP. You can do so by starting a new thread in the Steam discussion boards. The Talos Principle is my FAVORITE game on steam, it's great to hear it's update after all this time. That leaves me one question, if, by any chance, you will update the Chinese translation? Being on the latest graphics is nice but please make sure there is a way to still download and run the DX9 version as an option for people who want it. The new beta Vulkan engine is great. It looks and feels better than the previous version. I have run into one issue with certain needed objects not being present. On this level all the rewind terminals are a force-field instead of being accessible. I can walk through them and no way to access them. Here's a quick video of the issue. Will you support DX12 under Windows 7? Please consider it! Thank you for this work! You're awesome! I didn't see a system requirements for the beta discussed here but all I really want is a Talo's 2. @harry this is not intended. :) Will be fixed. Great update overall, but HDR sometimes can hurt eyes for real. Best example of it is sigil puzzle in Gehenna. Before / After .